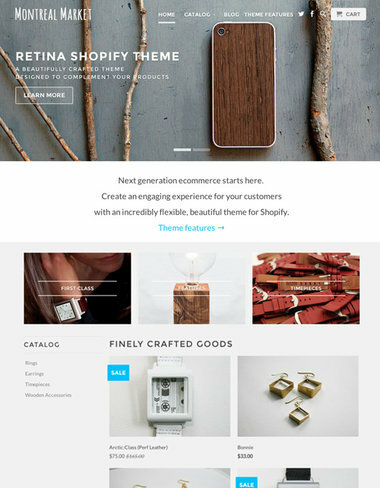 *UPDATED with 10+ new Shopify themes*. 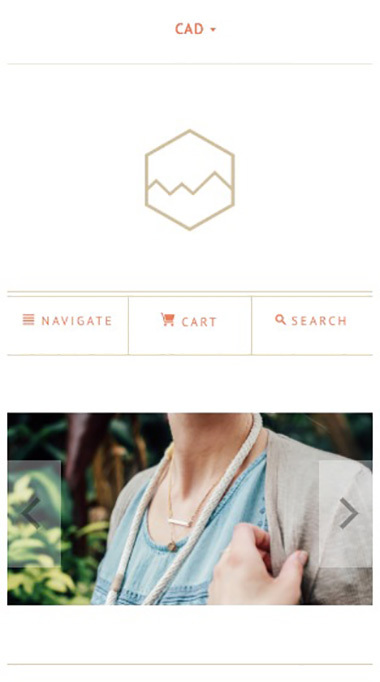 If you’re still not sure why Shopify themes are so widely used – then read on. Ecommerce stores are becoming more and more popular nowadays, with brick and mortar stores taking their business online, as well as new businesses turning their physical shops into web shops. Shopify is a really terrific platform to start your online store. 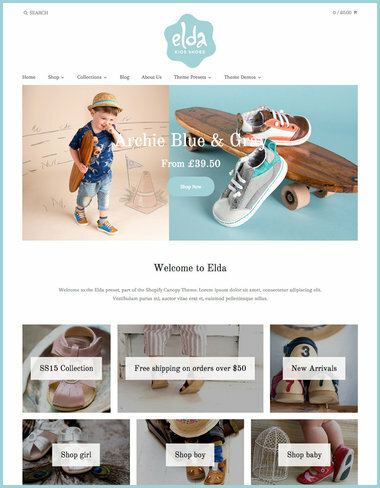 In today’s post, we have a total of 100+ premium Shopify themes and templates for you to explore, so that you can start your e-commerce website easily and have all the features you need to have a successful online business. Shopify is used by a total of over 165,000 online stores worldwide and is one of the most popular ecommerce platforms. 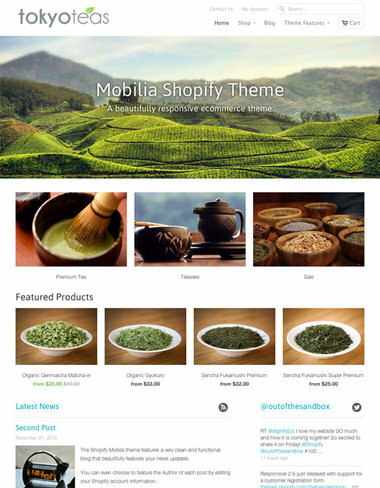 Shopify themes are in essence pre-built websites, made specifically for the Shopify framework. Using a Shopify template saves you an enormous amount of time and money as opposed to building a Shopify store from scratch. 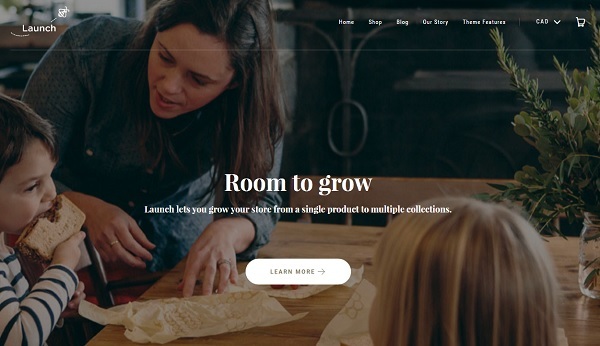 One of the newest Shopify themes, Flow – Queenstown features a header video that can quickly give an overview of your store and its products. 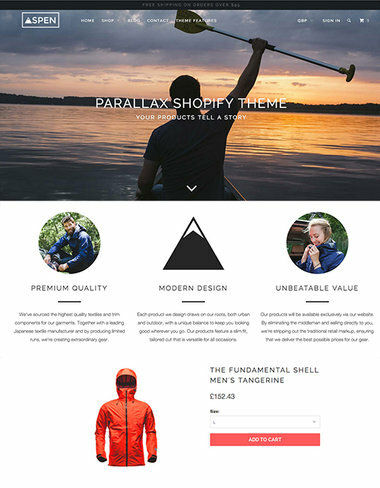 This Shopify template also features a homepage builder (which is a rarity among Shopify themes). 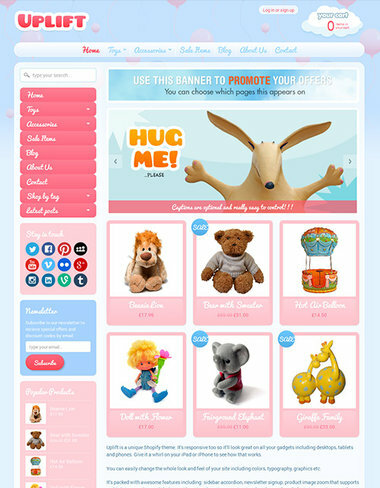 This allows you to easily customize your online store’s home page as you see fit. Flow – Cannes follows the footsteps of its predecessor – Flow Queenstown theme. 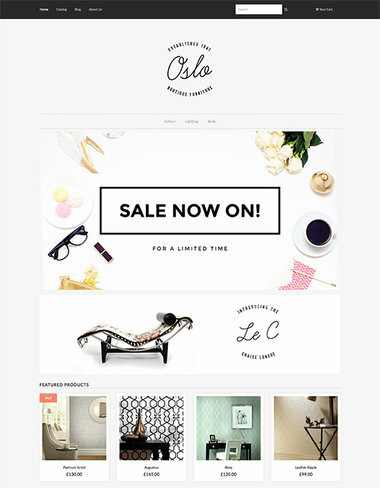 Think of this Shopify theme as a new skin to Flow – Queenstown, featuring a different layout of elements, accomplished through this template’s homepage builder. 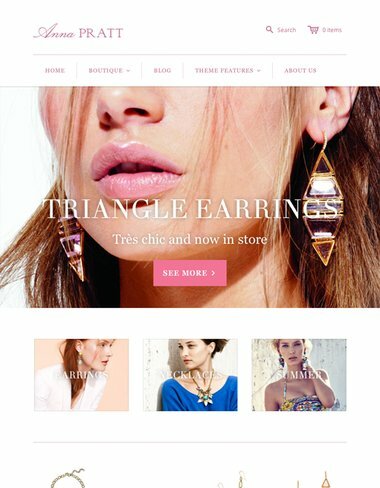 The demo website features an online store selling jewelry, however this Shopify theme can likewise be used for other stores. 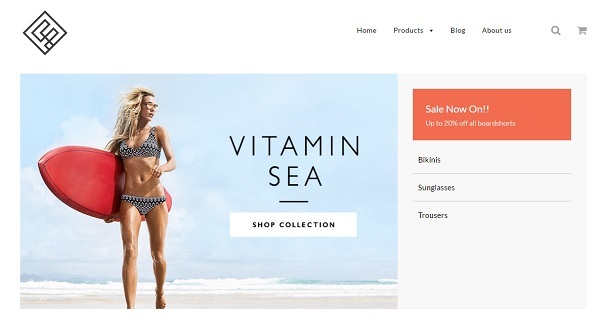 Flow Byron showcases an eCommerce store that sells beach products such as bikinis, sunglasses and more. 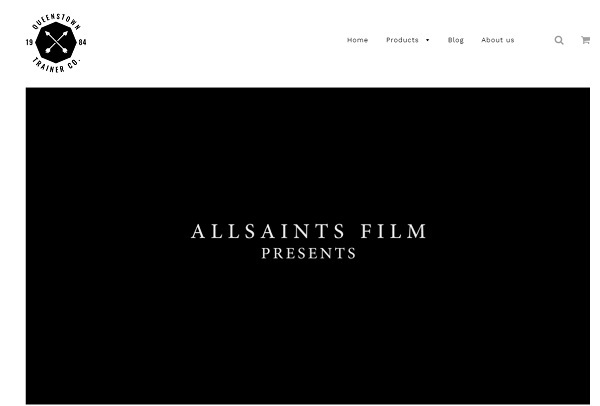 This Shopify theme uses a clean, minimalistic and responsive design and has beautiful photography. 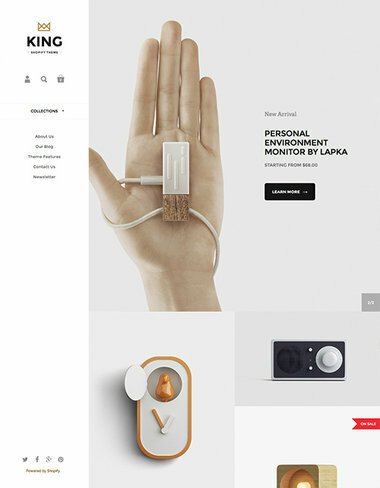 Lorenza – Urban is a Shopify theme that certainly looks different from others. It features an unconventional, split level design where the left side of the screen works in Parallax mode with constantly changing images as you scroll down, while the right side shows content. 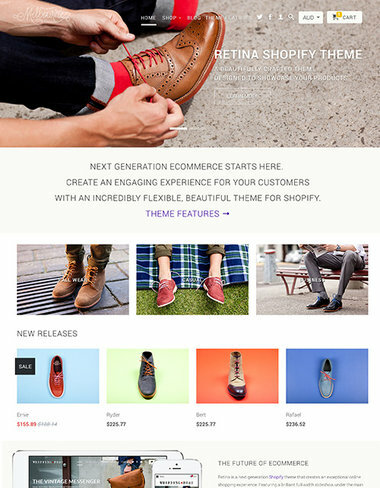 If you’re looking for a Shopify theme that will make your online store stand out, this theme may be a great choice for you. 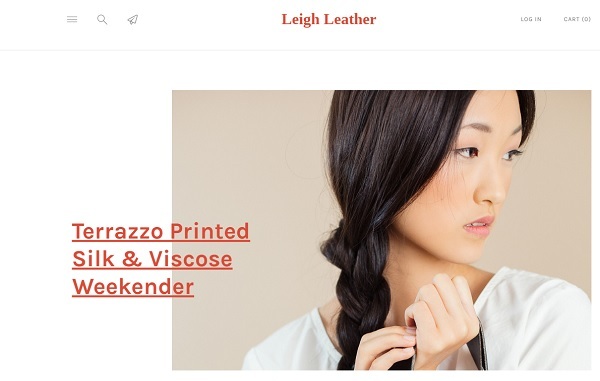 Lorenza – Handmade is another unconventional Shopify theme. The thing that stands out about this theme is the heading fonts, which for some reason use underline in its styling. We can’t say that we’re a big fan of this, but it’s something you can probably change easily when you customize this theme. 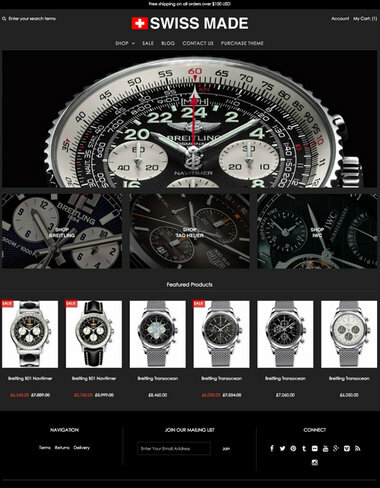 Otherwise, the product listing pages look clean with a visible call to action button and large background photography. 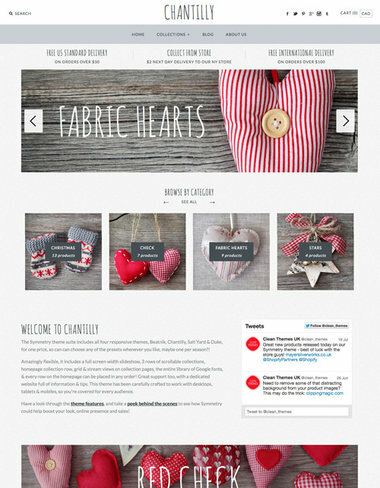 Lorenza Heritgage is a Shopify template that is very similar to Lorenza -Handmade. 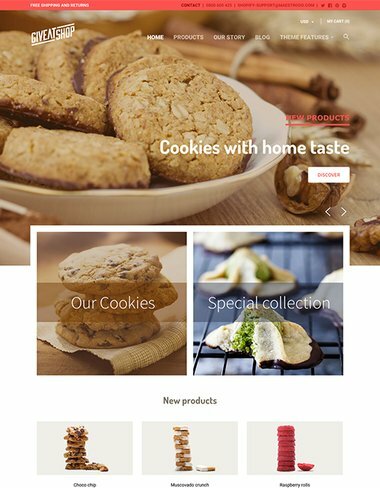 You will see the same underline effect used in headings on home page, however the product listing pages look different from the Lorenza Handmade theme. Between the two themes, we liked Lorenza Heritage better. 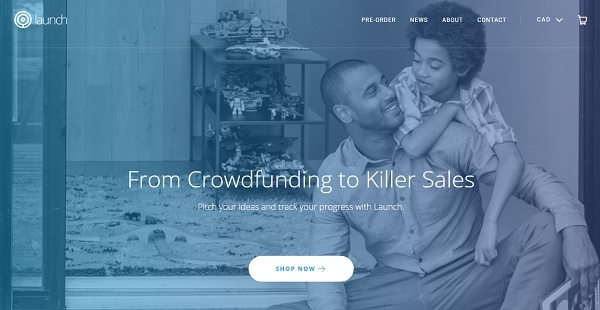 Launch – Bold is a new Shopify theme that is created for crowdfunding websites. 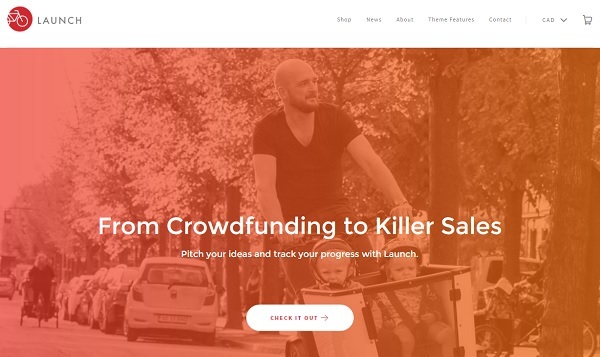 If you have a product or service you’re looking to launch and want to raise investment capital for it, this Shopify template may be a very good choice. 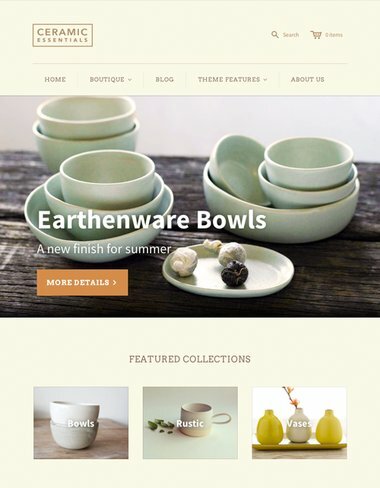 Launch – Fresh is another new Shopify theme. It showcases a website selling artisan lunch-related products, such as sandwich wraps, bread wraps, cheese wraps and more. 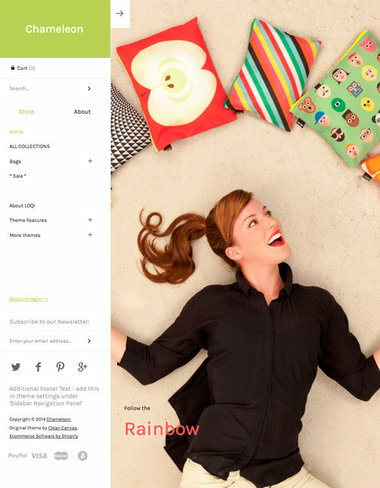 We liked the full-screen background image at the top of the theme, with easy to use navigation and layout. 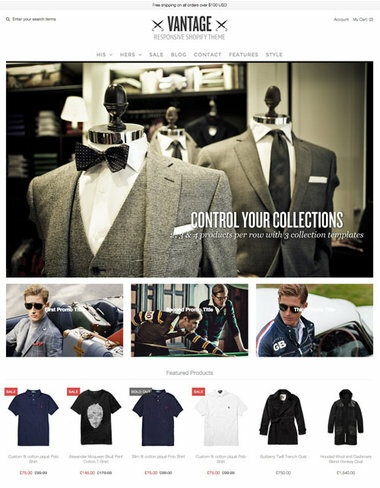 Launch – Cool Shopify theme is just a variation of the Launch – Bold theme. It features the same design with different, cooler tones and color combinations. 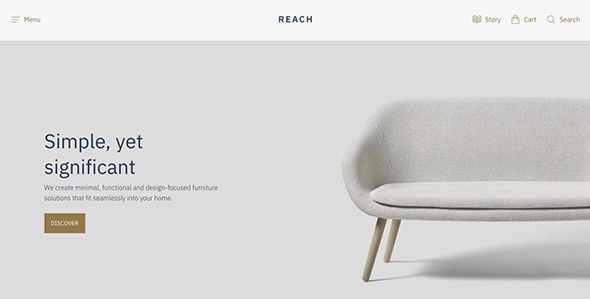 Reach features a beautiful, large photography in the background, and simple call to action buttons. 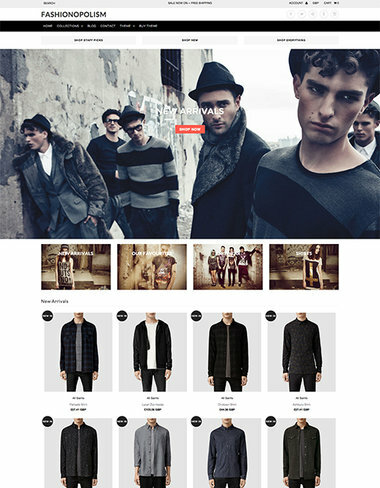 Ira – Street is the second template from the Ira Shopify themes collection. 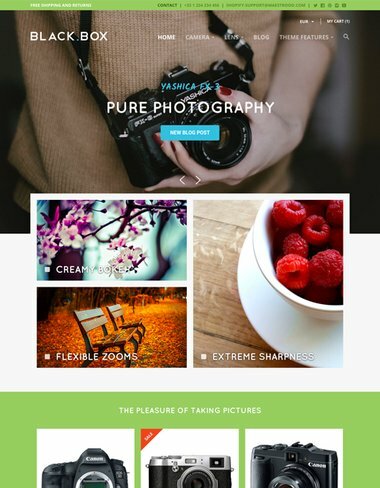 This theme has a highly visible heading and a full-screen background images. Product category pages feature large photography and short preview of the full product listing page. 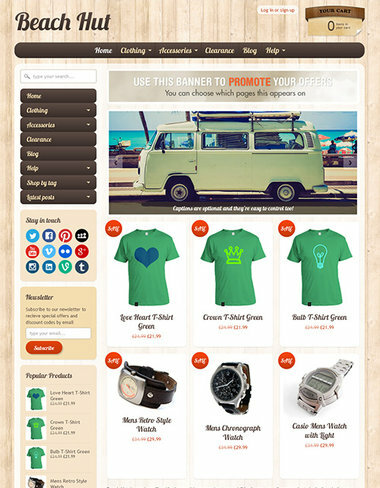 Overall, this theme can work very well for almost any type of eCommerce store. 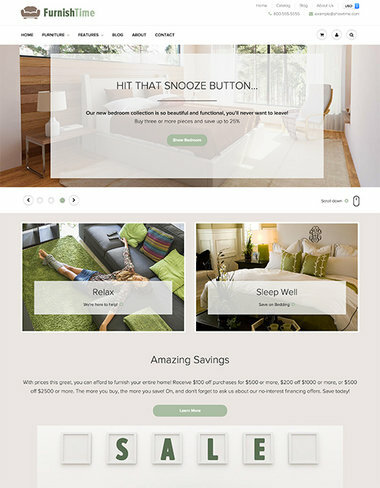 A neat theme, with features such as a classy product background pciture and bold buttons. Providence 4 is here! 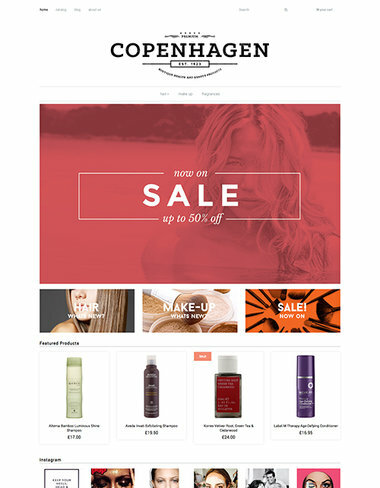 Features include a fully responsive design (looks beautiful on small screens), linked variant images, custom sidebars, AJAX add-to-cart, multi-currency support, internationalization support, line item properties, product image zoom, our unique widget system and more. 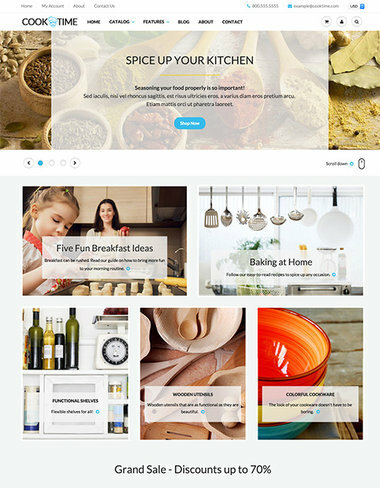 Built and supported by Empyre, the Shopify theme professionals. 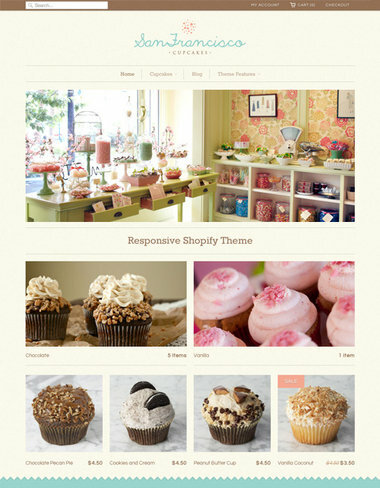 This is a second Shopify theme style that is included with the Birch theme. 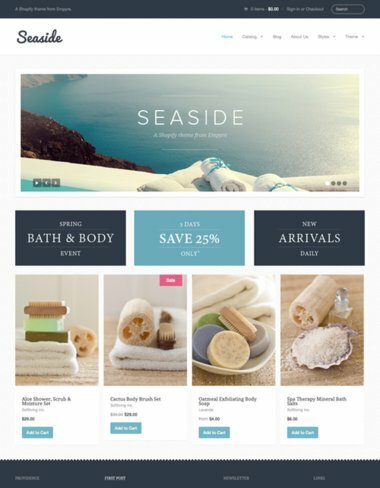 In the screen shot above you can see the theme being used for a bath and body shop, however it can be used for any other eCommerce store as well. 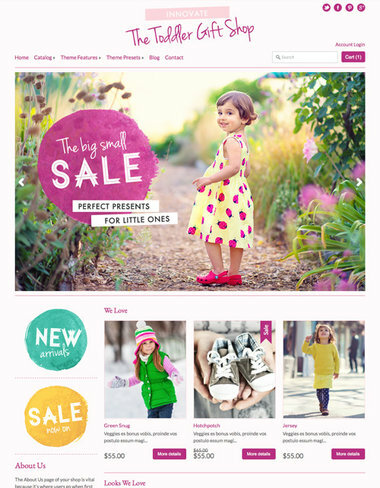 ShowTime is a highly flexible and feature-rich responsive theme suitable for any store. It features a fully-customizable homepage layout, three unique header styles, mega menu support, product quick view, advanced product filtering, product video support and much more. It comes with four beautiful presets that will make your products stand out. 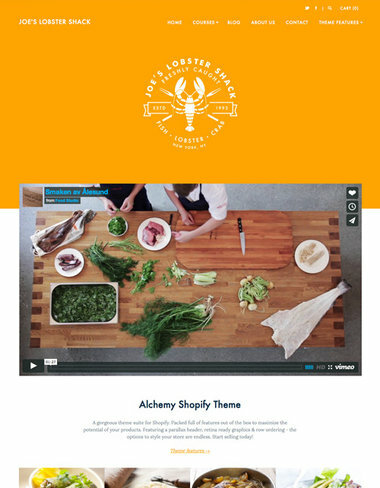 CookTime is second of the 3 Shopify themes included within ShowTime. 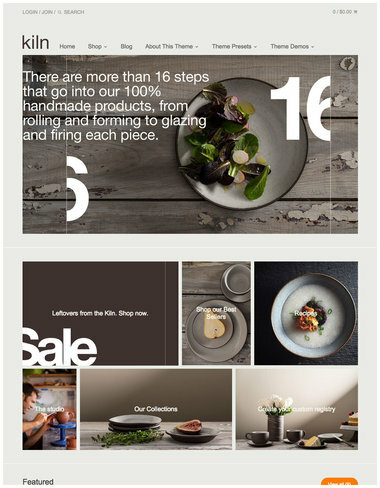 The web shop showcased here is one that sells kitchen accessories. 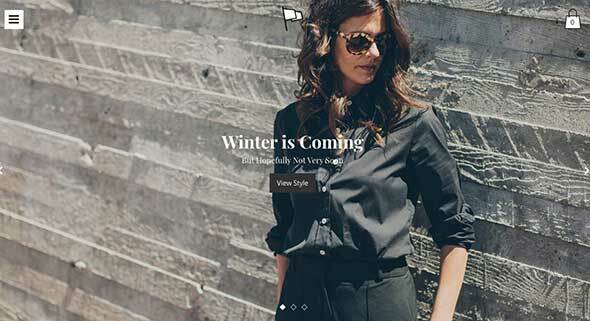 Mayfair from Modular is a minimalist and neat fashion and women’s clothes theme. Another theme from Modular. 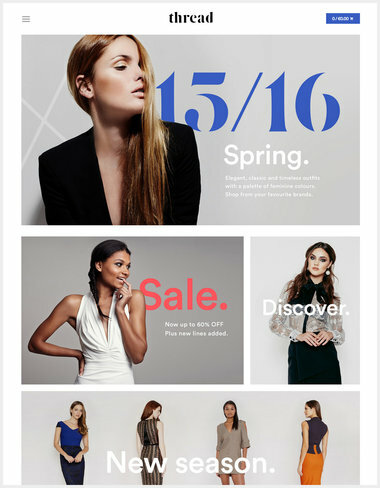 The showcase website here sells fashion and women’s clothes. 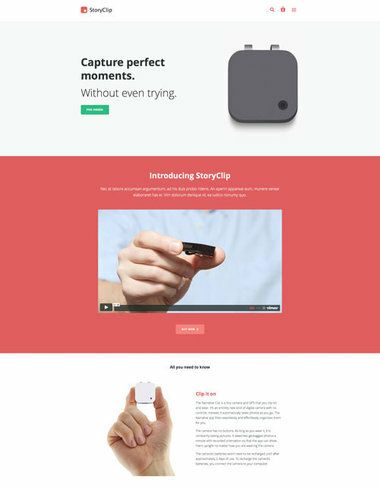 Narrative is a fully responsive and minimalist theme and also one of the simplest and most customizable Shopify themes. This theme is part of the Narrative themes and offers a more dynamic experience. The third Narrative option is based on a video background. 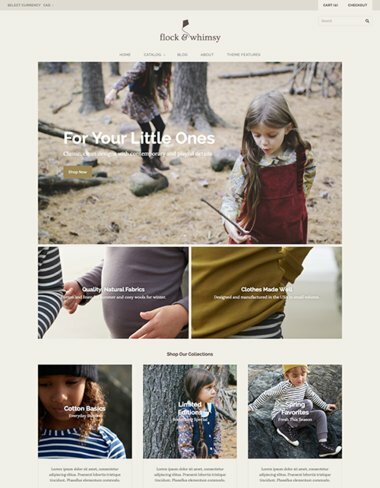 Vogue Organic is a lookbook-style theme, designed for seamless browsing. 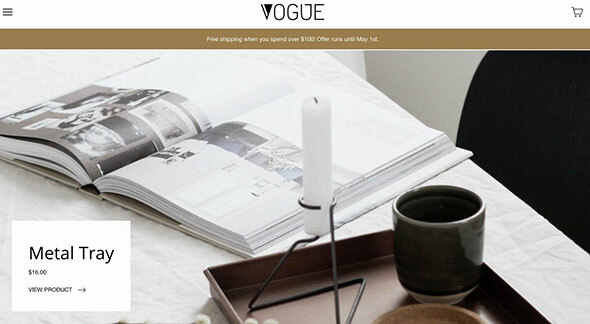 Elegant is the second theme style of the Vogue purchase. The Editorial is the third style of the Vogue purchase. 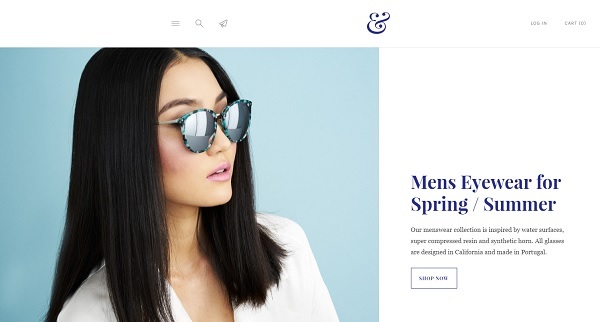 A beautiful, modern, responsive theme for Shopify and perfect for brands active across multiple channels. Evening is theme #2 out of 3 total Shopify themes part of the Venue purchase. 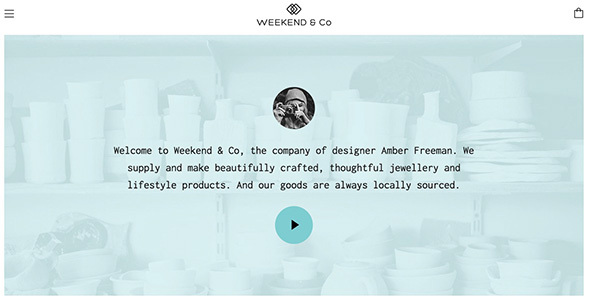 Weekend is template #3 out of the 3 total Shopify themes included within Venue. 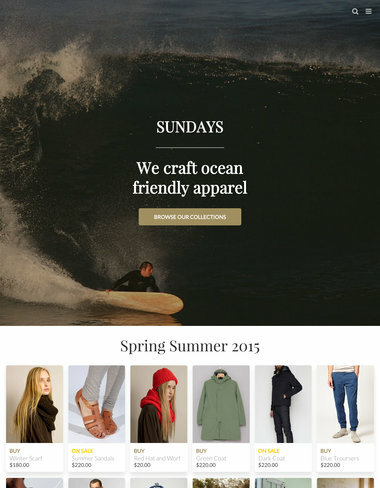 Few Shopify themes make it easy to tailor your store to every season and sale. Grid does this with intuitive masonry features that help you tell a story, as well as built-in Twitter and Instagram integration. 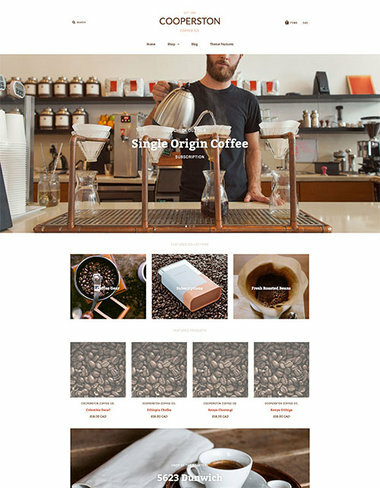 Grid – Warm is Shopify theme #2, included within your Grid purchase. 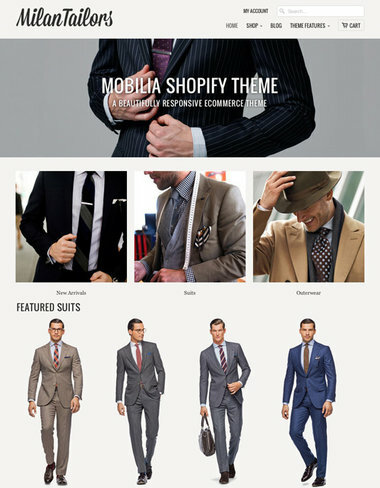 The sample eCommerce store depicted on the theme sells men’s attire. 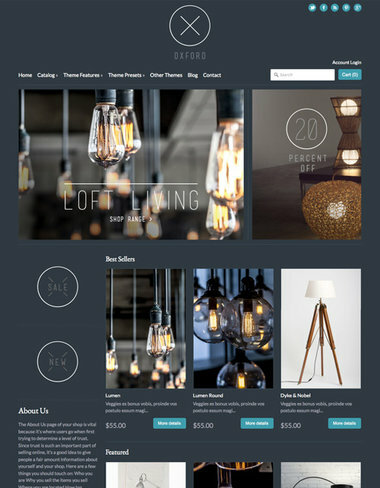 Grid – Bright is premium Shopify theme #3 that is part of your Grid template purchase. 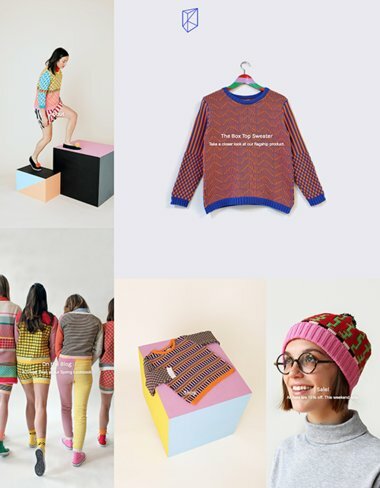 The eCommerce store shown here is one that sells colorful women’s clothes. Bone Theme is part of the premium Pop purchase. 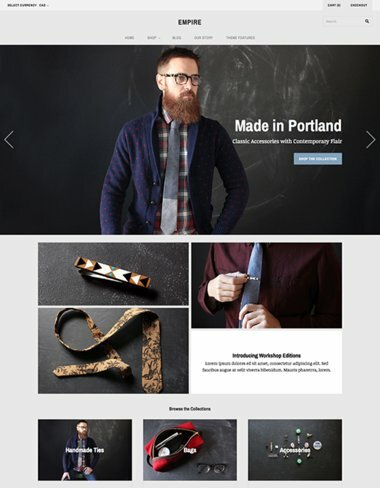 Mr Parker is Responsive Shopify theme that adapts to desktop, tablet and iphone browsers. 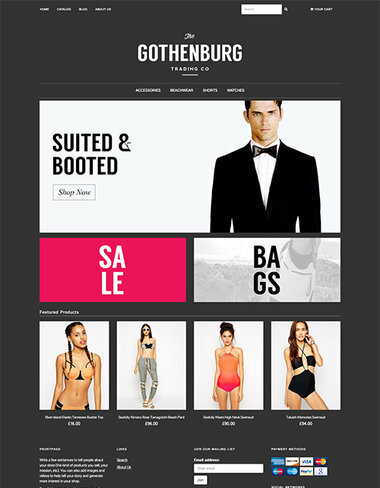 Packed with multiple collection layouts, product page image zoom and a plethora of easily enabled homepage elements, this Shopify theme gives your potential customers an exciting and modern feel with a great all around online shopping experience. Apethecary is someone who sells and/or prepares medicine products and drugs. 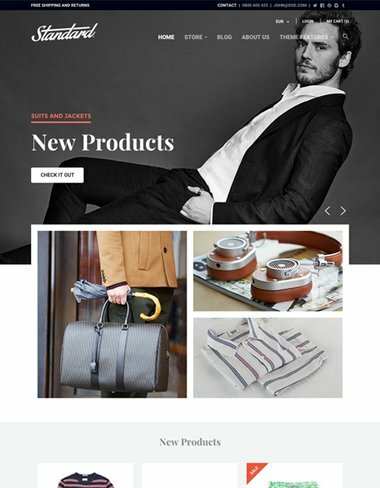 So as the name suggests, the sample store on Mr Parker Apothecary, a Shopify premium theme #2 out of the 4 total included within Mr. Parker, sells various pharmaceutical products. Desk is premium theme #3 out of 4 included within Mr Parker. 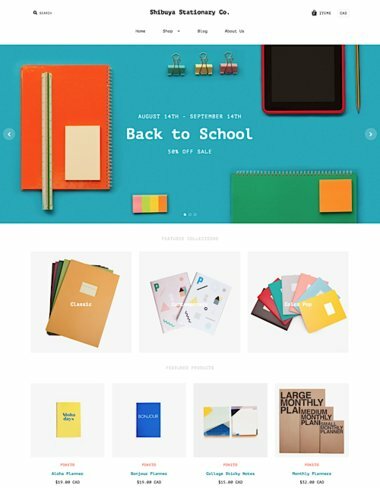 The sample eCommerce store here sells various school related merchandise. 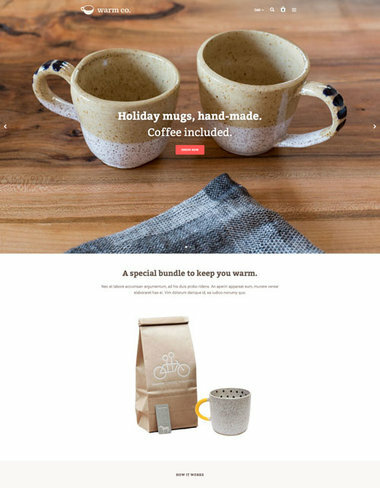 Startup theme for Shopify provides an unprecedented level of flexibility and sprawl-free detail. 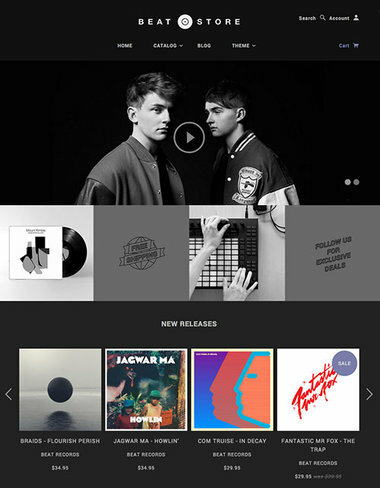 Its homepage is a modular masterpiece, capable of serving as a one-page store all on its own. 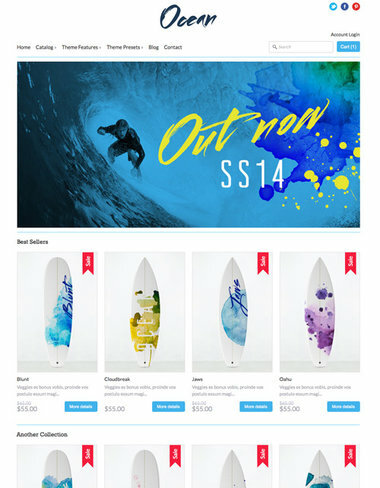 Perfect for merchants selling a small amount of products, but flexible enough to handle an entire catalog, Startup is the ideal Shopify theme to running your dream business. 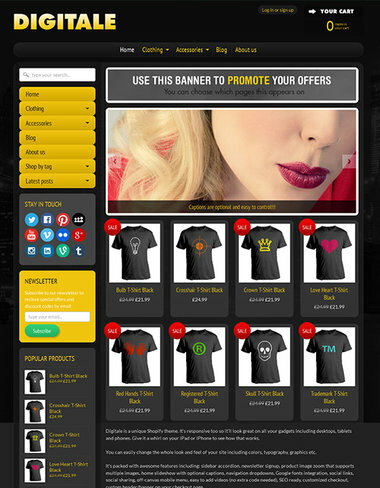 Cloth is premium theme #2 out of 4 included within Tech template. As the name says, the eCommerce store shown here sells clothes. 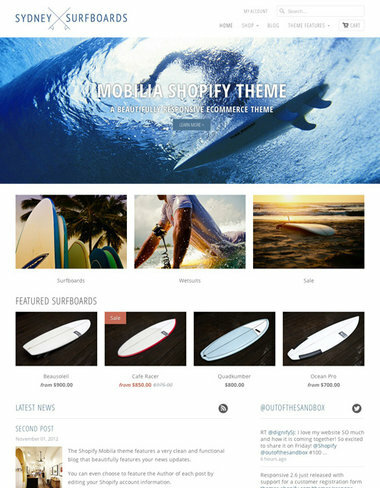 Tech is another of premium Shopify themes included within your Startup purchase. The eCommerce store depicted here sells tech-related products. 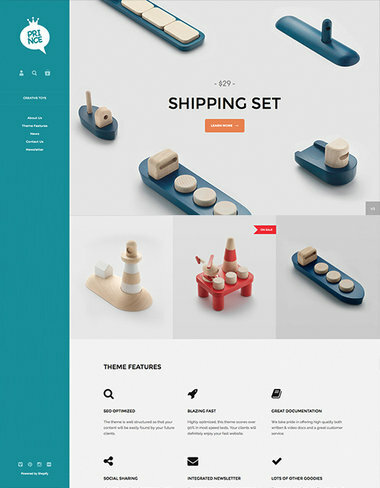 Art is a the 4th of premium Shopify themes included within Startup. The eCommerce store depicted here sells art-related merchandise. 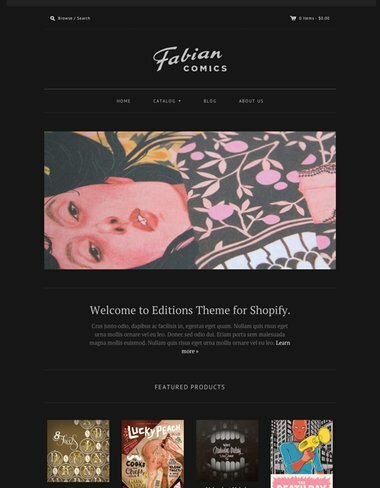 A unique theme suite for Shopify. Perfect for start-up boutiques, artisans & craftsmen. Showcase your product images full-screen – featuring overlayed multi-level menus, full screen product galleries, retina ready graphics and a simple but versatile set of settings to help you customize your store. Showcase your products in a brand new way! We especially like the full-screen background image used on the demo store here. 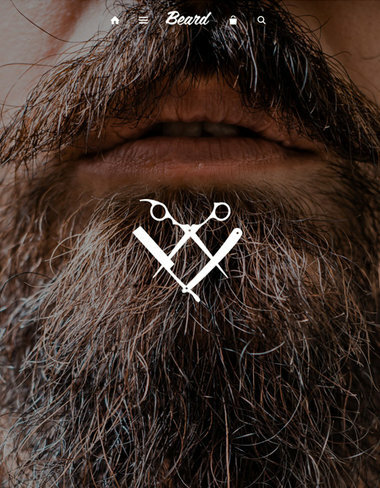 As you can see by the enormous picture of a man’s ungroomed beard, this Shopify theme can be used for an eCommerce store that sells various men’s grooming products. 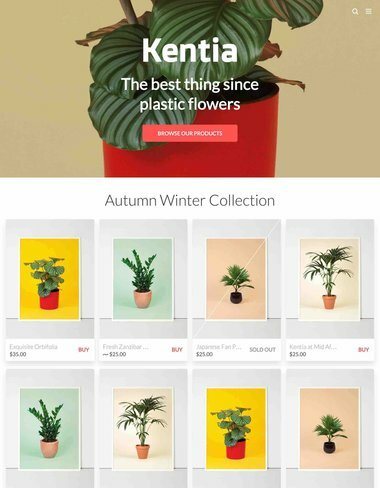 Luna is a very unique Shopify template that’s included within the Showcase premium theme pack, with a product-first approach. As you can see from the demo, it features large, detailed product images instead of unnecessary text. Betty is the last of the premium themes included within the Showcase pack. 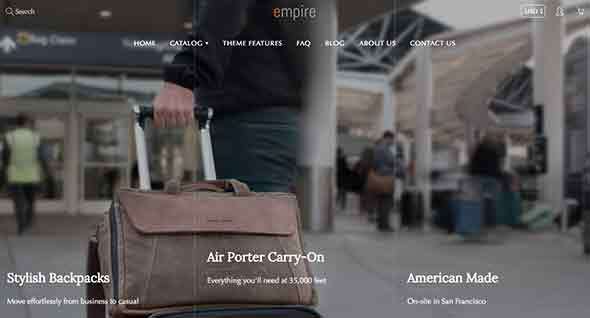 This theme also takes an image-first approach, with large, detailed images. A theme known for its exceptional display across all devices, Expression Oxford uses a deep, rich color scheme for a dramatic effect. Whether you’re looking for customization capabilities that don’t require coding knowledge, or you’re a professional designer who needs clean code to work with, Expression Oxford has it all. 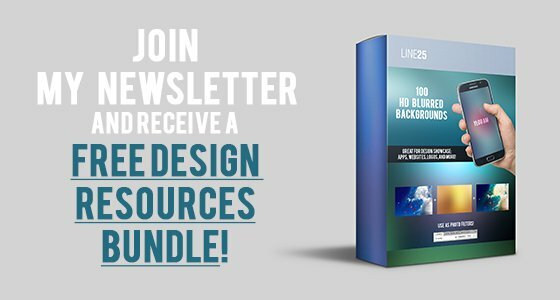 Over 150 custom settings, sharing capabilities, sidebar promotions, homepage sliders, unique product displays, navigation dropdowns and blog entry functions – get everything you want with this theme. 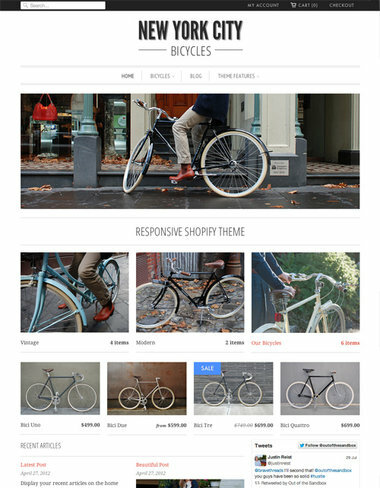 Digitale is a responsive Shopify theme. Give it a whirl on your iPad or iPhone to see how that works. 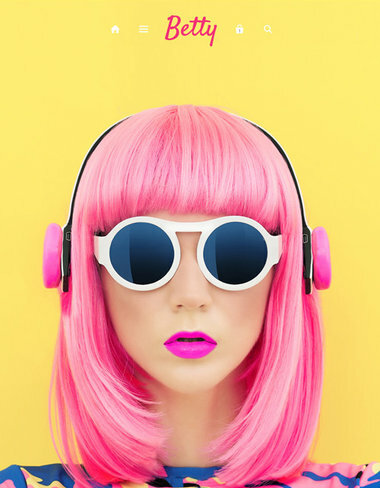 It’s easy to change the whole look and feel of your site including colors, fonts, graphics etc. It’s packed with awesome features including: brand scroller, sidebar menu, newsletter form, product image zoom, customer accounts, slideshow, Google fonts, social links, customized checkout and much more. 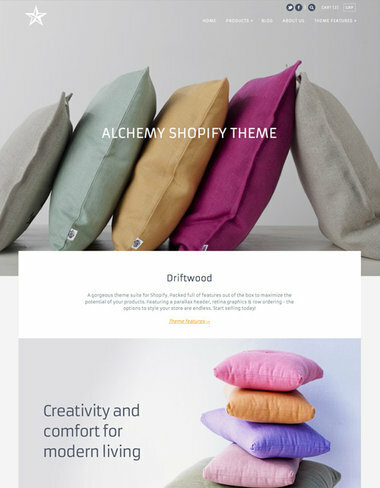 A gorgeous responsive theme suite for Shopify, Alchemy is packed full of features out of the box to maximize the potential of your products. 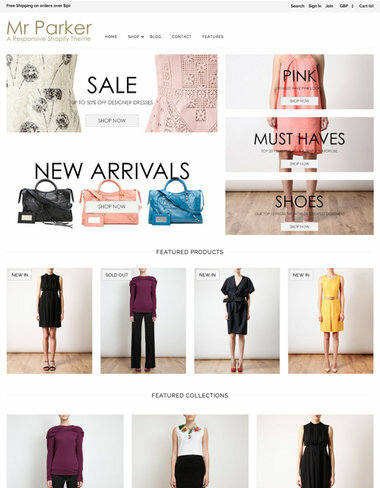 Featuring a parallax header, retina ready graphics & row ordering – the options to style your store are near endless. 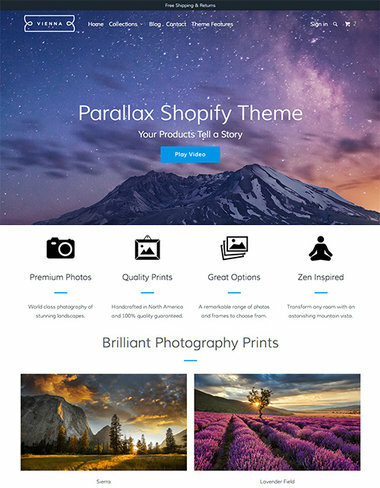 Start selling today with this premium Shopify theme. 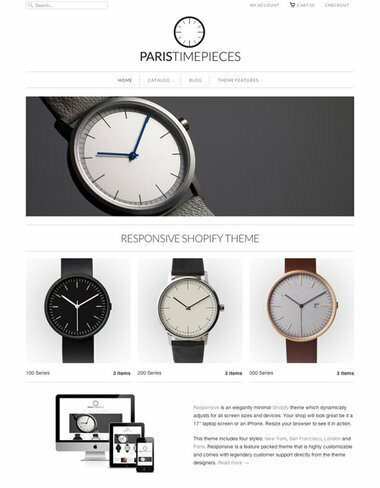 Copenhagen is a minimal, but powerful Shopify theme. 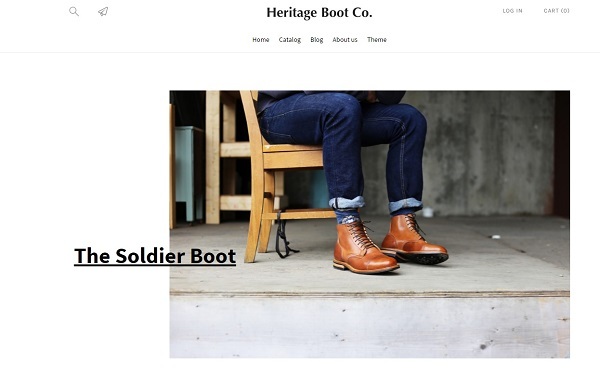 This premium theme includes Google Fonts, homepage slider, and a selection of social networking features to ensure your online store’s products get as much exposure as possible. 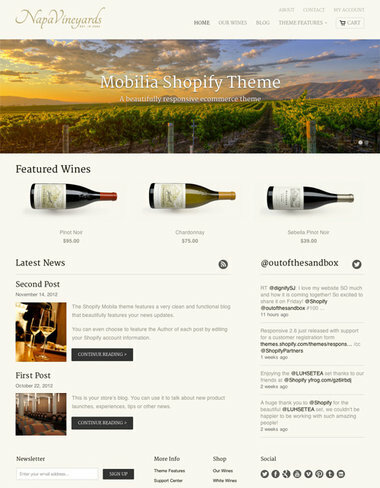 Galleria is a premium Shopify theme that is part of the Fashionopolism purchase. 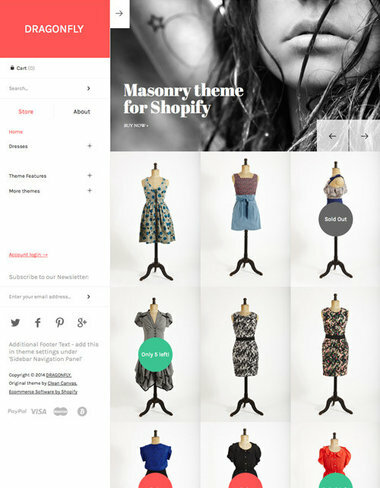 Secret Sale Preset for the Fashionopolism Responsive Shopify Theme. 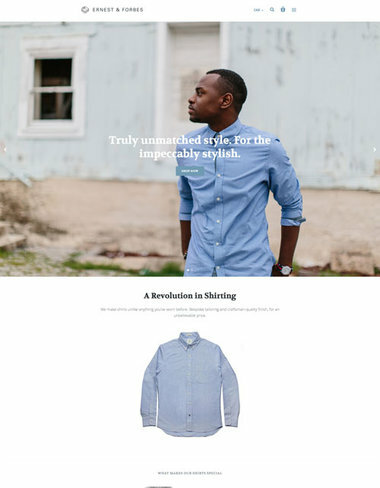 Designed for stores looking for that sharp, sophisticated Ecommerce Giant feel. Endless Theme Settings give you complete control over the look of your theme. Due to popular demand Masonry has been updated to include a dynamic slideshow and improved product & collection display options. 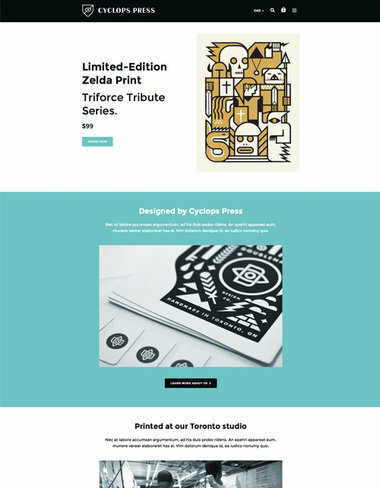 A fully responsive layout (for stunning display on all device sizes), multi-tier navigation, beautiful typography options (choose from 500+ free Google fonts), Mailchimp, homepage slideshow and advertisements, custom stickers & much more. 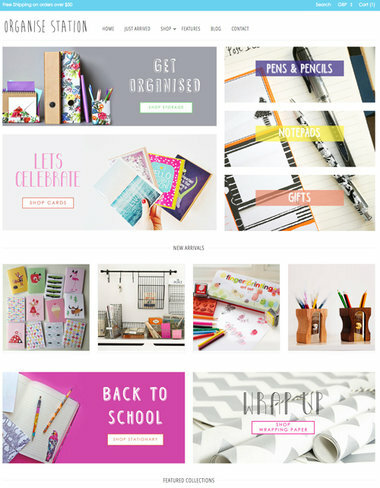 This Shopify theme is quick & easy to customize too! 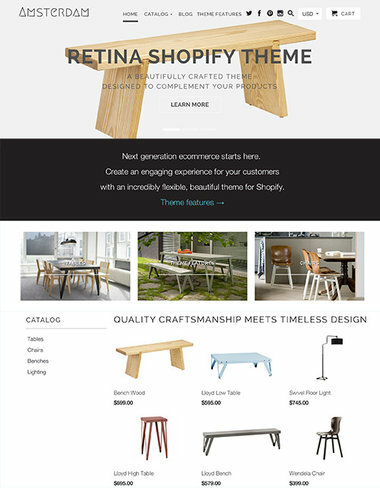 Retina is an award-winning, brilliantly crafted Shopify theme for exceptional web shops. 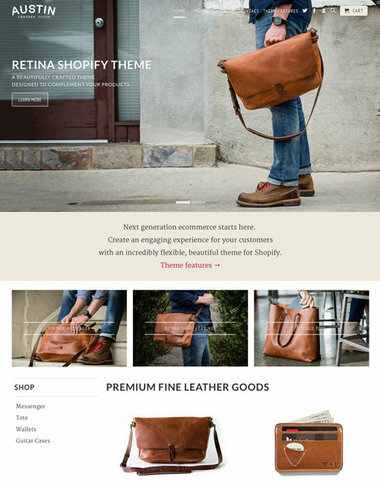 Voted the best in ecommerce design by distinguished industry leaders, Retina comes packed with next-generation features and flexible theme settings. 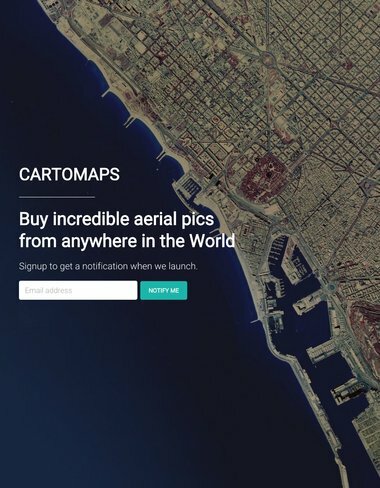 Featuring support for high-res product images, responsive layout for widescreen and mobile devices, dedicated sidebar, product videos and much more. 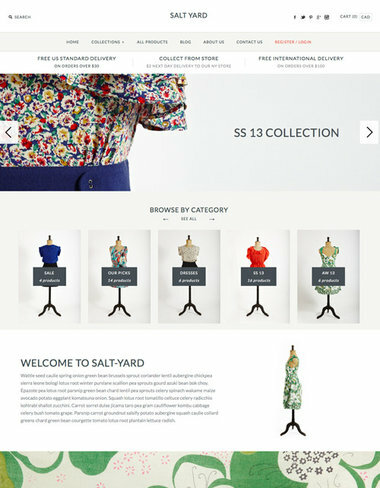 A Responsive Fashion Shopify Theme with optional collection layouts showing 3, 4 or 3 + Sidebar on Collection pages. 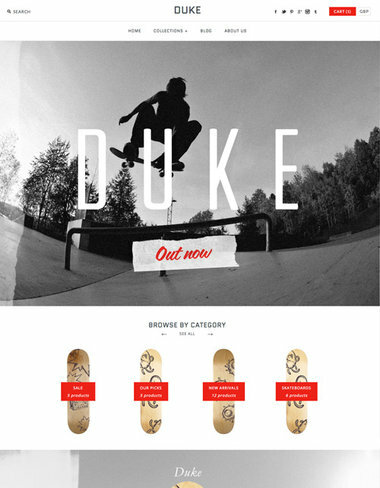 Homepage Slideshow, video, collections and product carousel + a large content area for some added oomph! Quick Shop, Add to Cart but stay where you are + lots more. 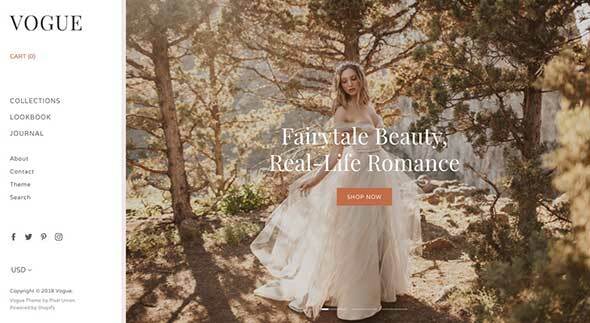 Focal is a full-featured, highly customizable and beautiful premium Shopify theme. It has been made in such a way to tailor to all kinds of web shops. Your customers will enjoy its beautiful full-screen slider, search auto-completion, and its unique built-in features like currency conversion and Instagram support. Responsive is an elegantly minimal theme that dynamically adjusts for all screen sizes and devices. Highly customizable options for beautiful typography, drop-down menus, Quick Shop buttons, optional collection sidebar, slideshows and product page videos plus much more! 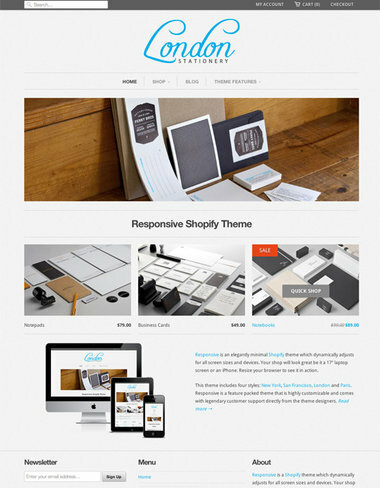 Responsive is one of the best reviewed premium Shopify themes. 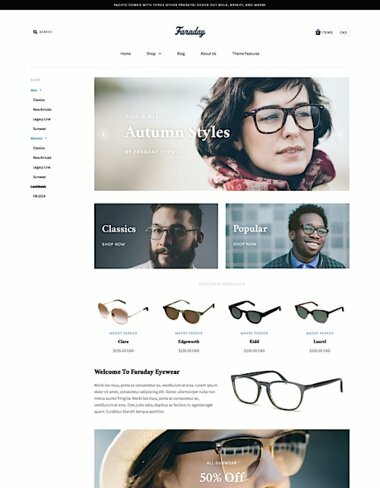 The Icon Shopify Theme is conversion focused and packed with wide array of features that enables Shopify Store owners to create unique & compelling web shopping experiences with ease. 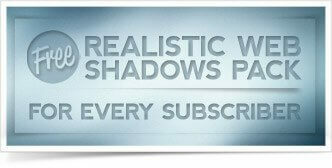 Sticky Header, Sticky Sidebar, Parallax Scrolling Images and much more! 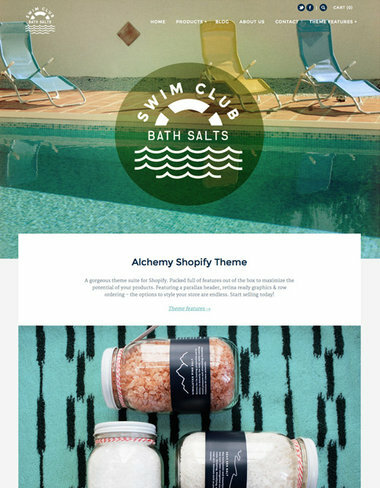 The Symmetry theme suite includes all 4 responsive presets; Beatnik, Chantilly, Salt Yard & Duke, for one price, including a full width slideshow, 3 homepage scrolling collection rows, grid & stream views on collection pages, Google fonts, live search, multi-level nav/menu & every row on the homepage can be placed in any order. Amazingly flexible, for desktops, tablets & mobiles + great support. 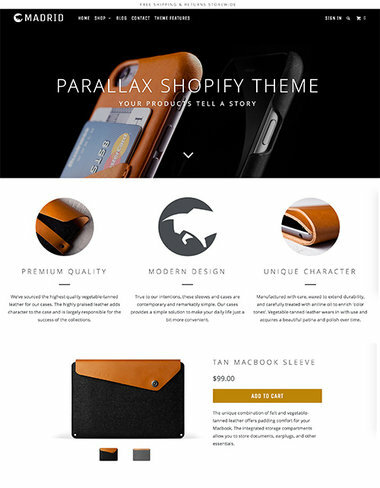 Parallax is a stunning theme featuring a long-format home page with unparalleled flexibility and control. Let your products tell a beautiful story with amazing details. 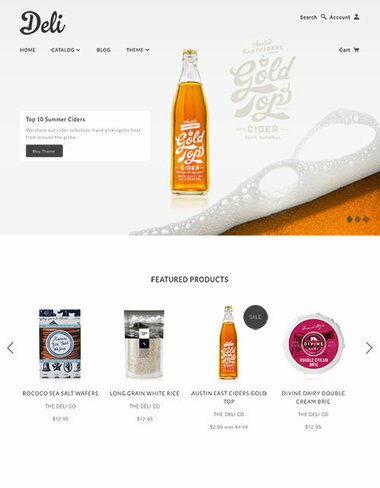 Create an impact with multiple parallax scrolling sections and the ability to purchase products on the home page. 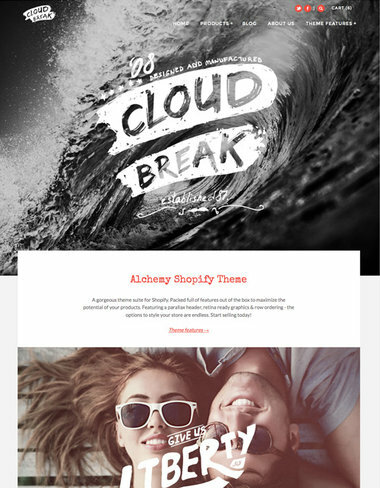 From the award-winning Out of the Sandbox team, designers of the most popular and best reviewed premium Shopify themes. Editions is all about space and style. 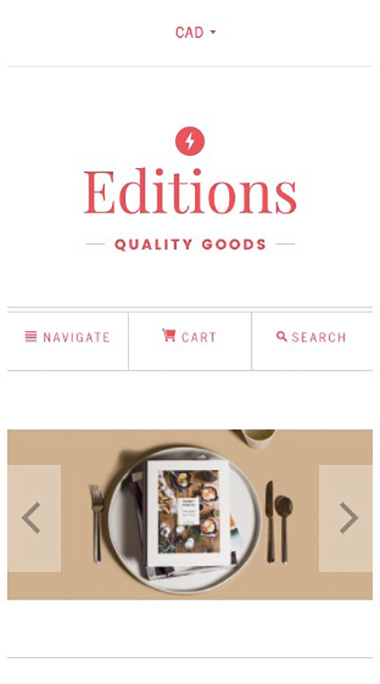 Its powerful navigation menu makes browsing your catalog easy. With incredible font, color, and style customization options, you can dress it to suit your online brand perfectly. It’s packaged with amazing typography, four preset looks, and tons of extras. 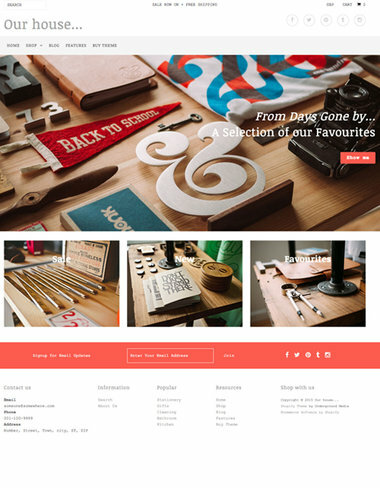 Canopy is a fresh, super-customisable & versatile theme. 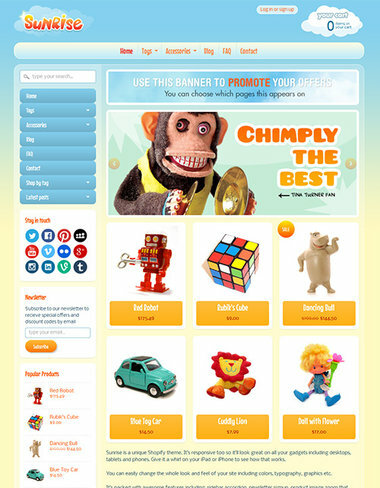 The homepage is built using rows of specific content, which you can turn on and off individually. You can also control the exact order they appear in. 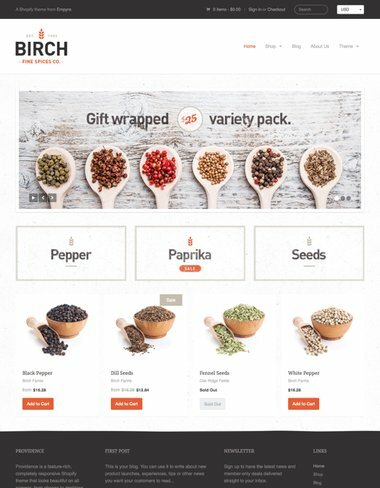 Including cool setup options for mega menus & collection headings, Canopy premium Shopify theme caters for any store owner, no matter the size of your inventory. Atlantic combines our love of refined typography and framing with massive organization, including a multi-tiered navigation menu, homepage slideshow, and tons of space for featured content. It’s flexible, user-friendly, and stunning. Overall, this is an excellent choice for your web store. 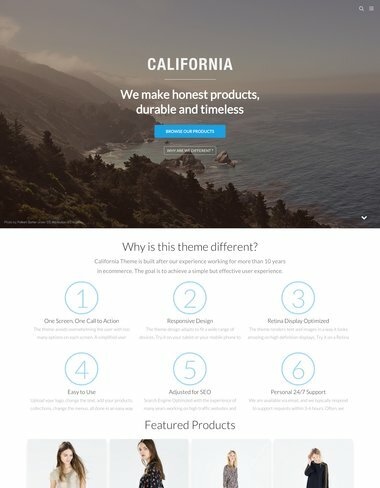 California Theme is a retina display ready, responsive Shopify template that works great on mobile and tablet devices. It’s focused on simplicity, providing the user with just the right amount of information on each screen. Ideal for selling any type of product, its user-friendly design layout allows users to easily find and navigate through all your products. Responsive and retina ready, the Blockshop theme draws on flat UI design – boasting spacious, customisable layouts with a minimal user interface that endures trends with simplicity and style. 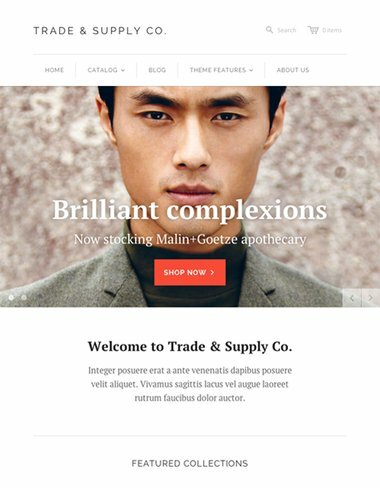 Blockshop is a unique, premium Shopify theme, perfect for emerging and established businesses, start-ups, boutiques and artisans. Made for everyone built to sell anything. Pacific isn’t intimidated by large inventories, it’s made for them. 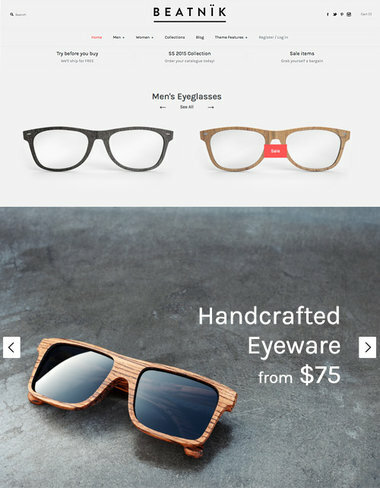 It’s a responsive Shopify theme with a moldable navigation and layout that lets you control the focus. It gives any product catalog magnetism at first glance. 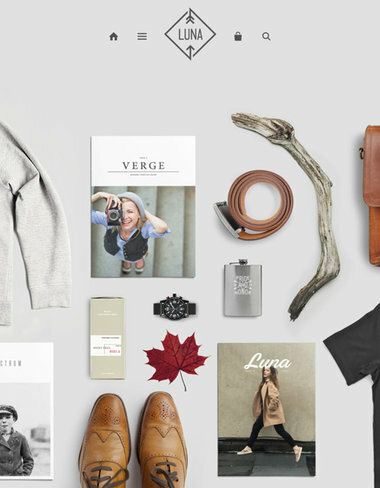 Vantage is a Best Selling Shopify Theme with stunning looks and strong performance. Responsive for Desktop, Tablet and Mobile Shopping Vantage covers the needs of all shoppers with ease. 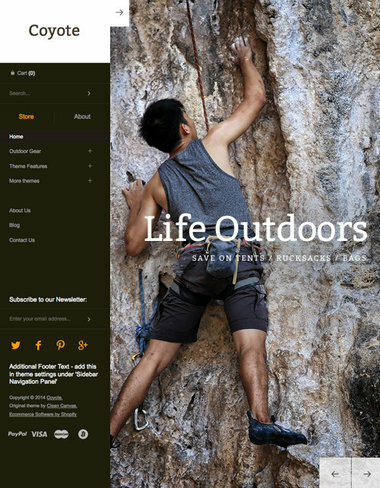 Slideshow, Video & Re-orderable home page sections make for easy setup. 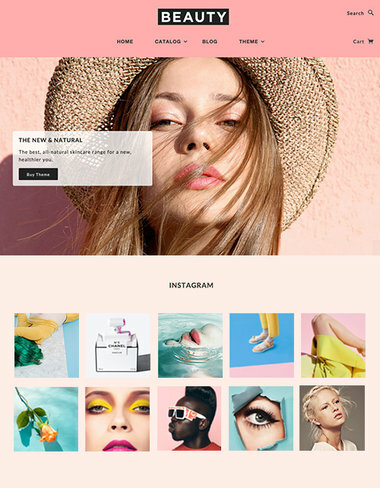 Napa is a polished ecommerce template with timeless design, popular with fashion, beauty, and foodie shops. Refined and luxurious, an ideal showcase for top shelf products. 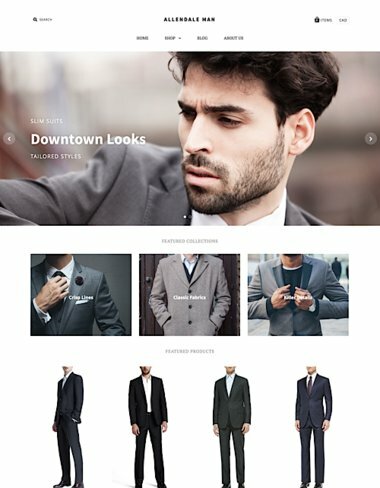 Kingdom is a responsive Shopify theme with a creative layout, featuring a complex sidebar navigation area, grid collections with large thumbnails, unique galleries and product pages, fancy effects, and lots of options, with three handcrafted presets. Glad you made it to the bottom of this post. 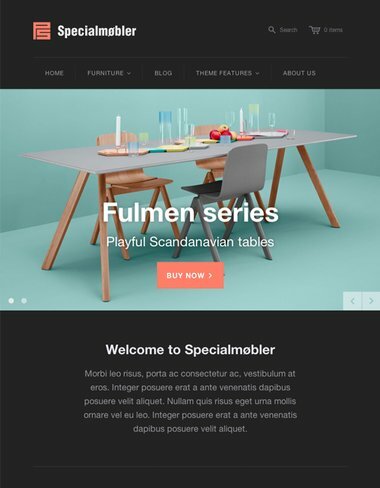 As you have seen from this roundup of premium Shopify themes, templates for Shopify come with almost unlimited flexibility, allowing you to create the eCommerce website of your dreams. 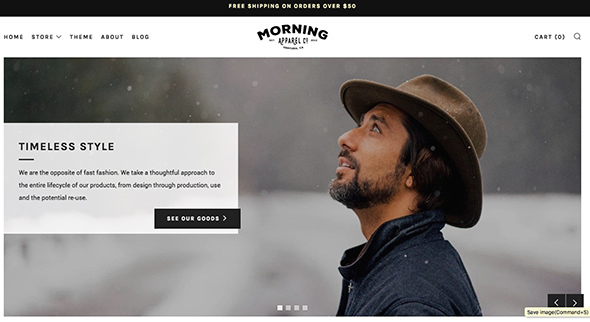 Now is the perfect time to get your free 14 day trial for Shopify, use one of the premium Shopify themes above, and start creating your successful eCommerce store online. Amazing Information that you have shared with us, Now a day Shopify is the best fit for eCommerce service. Thanks for sharing with us. 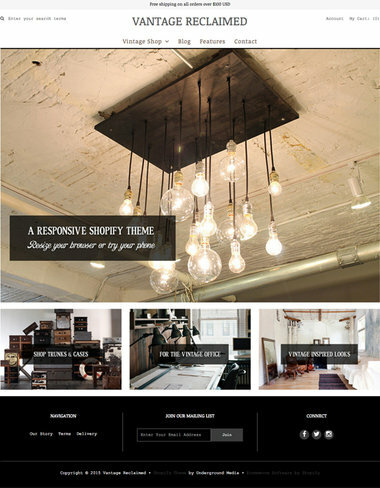 We are on shopify theme Brooklyn and it is awesome.